If you are a beach lover and haven’t been to Zanzibar as yet, trust me, you are missing something in life. 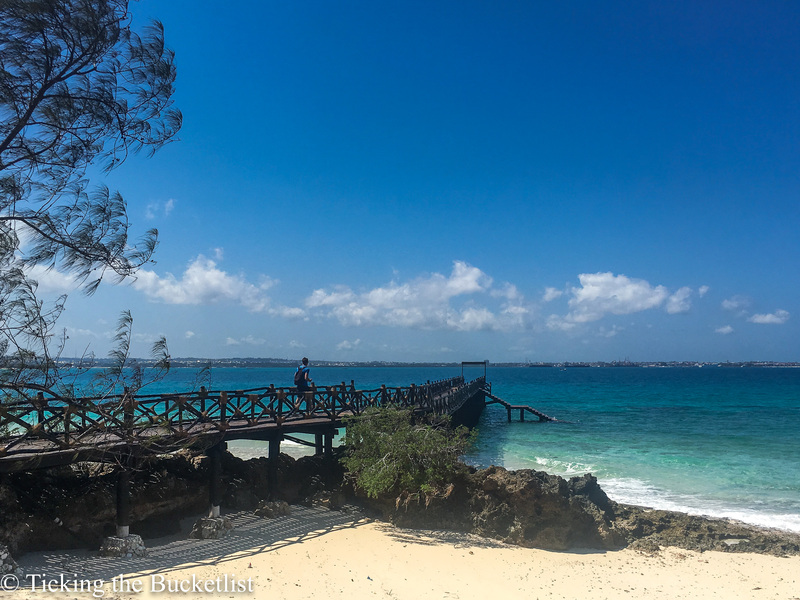 If you are wondering where Zanzibar is…this archipelago is just off the Tanzanian coast and comprises of many small and two large islands – Unguja and Pemba. The islands are surrounded by azure waters, teeming with sea life. Zanzibar was the hub of spice and slave trade, which has resulted in its unique culture – a mix of Indian, Arabic and European. Many travellers visit Zanzibar for only a day, or just a couple of days, usually, after their safaris in Tanzania are over. However, the island needs much more time than just a couple of days. We explored only Unguja and believe that a week in Zanzibar is needed to enjoy the sights of this archipelago. Here is a suggested itinerary to help you plan your trip better…. Take the first half of the day easy and catch up on your sleep. Enjoy a couple of hours at the Livingstone Beach Bar, which is a lazy beach side restaurant. The drinks are good and it is a great place to spend the afternoon in some shade, watching the waves wash the shores, school kids go by and local vendors sell their wares. Get over the jet lag and get set to soak in some culture by walking during the later part of the day. 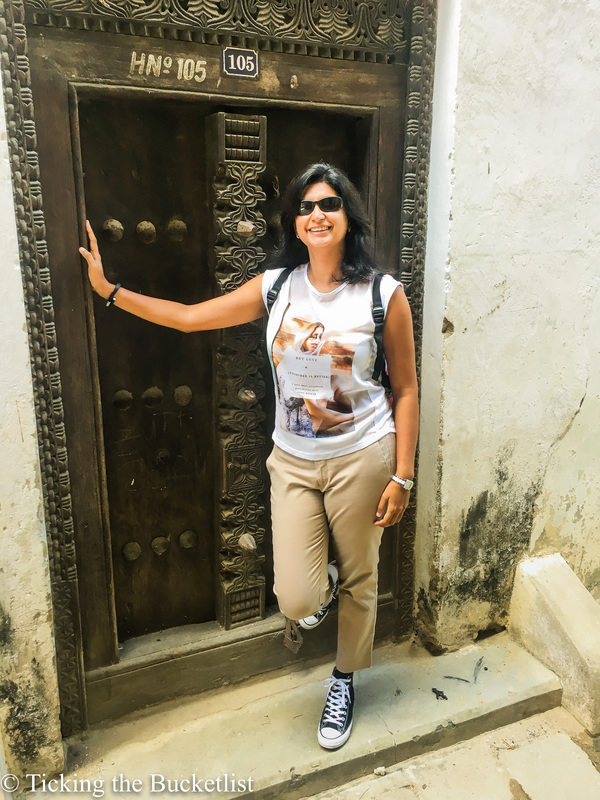 During the second half of the day, go on a guided walking tour of the UNESCO World Heritage site of Stone Town, including the Slave Quarters, which exhibit the dark history of slave trade. We believe that is essential to take a guide in order to understand the history of the place better as there are no signs that will help you do this tour on your own. Rise and shine…have an early breakfast and head to Michamvi. We spent two days at Miachamvi Sunset Bay Beach Resort on Michamvi beach. The beach is flanked by many resorts across the entire budget range – there are back packer hostels as well as super premium properties. Over the next few days, we went to plenty of beaches on Unguja, but none of them could match Michamvi; here, the sand is sparkling white and the sea is gentle..perfect to swim during high tide. The resort has a lovely little pool that let us cool down when the tide was low. We spent the day relaxing by the beach, sipping a few cocktails and swimming in the sea…doing things that you do on a beach vacation. Later in the evening, wear your evening clothes and head out for dinner at The Rock. I was really excited about this evening as ‘Dinner at The Rock’ has been on my bucketlist for quite a while. The setting was utterly romantic and we enjoyed our drinks. However, food was a big let down – not tasty at all. Go here for the ambiance and the setting, definitely not for the food! With your batteries charged after relaxing on Day 2, let this day add some excitement to your life – swim with the dolphins and watch the colobus monkey scratch its head. Have an early breakfast, at about 6:30 am and leave for Kizimkazi. The dolphins at Kizimkazi are very friendly and one can swim with them as well. You can see them at very close quarters while snorkelling. We saw over five dolphins …and I was really close to one of them…less than 5 meters! Including the drive and the boat ride, the entire experience takes about 5 hours. So much of swimming does make one hungry – so carry a picnic lunch to satiate the hunger pangs. At about noon, head to Jozani Forest from Kizimkazi. 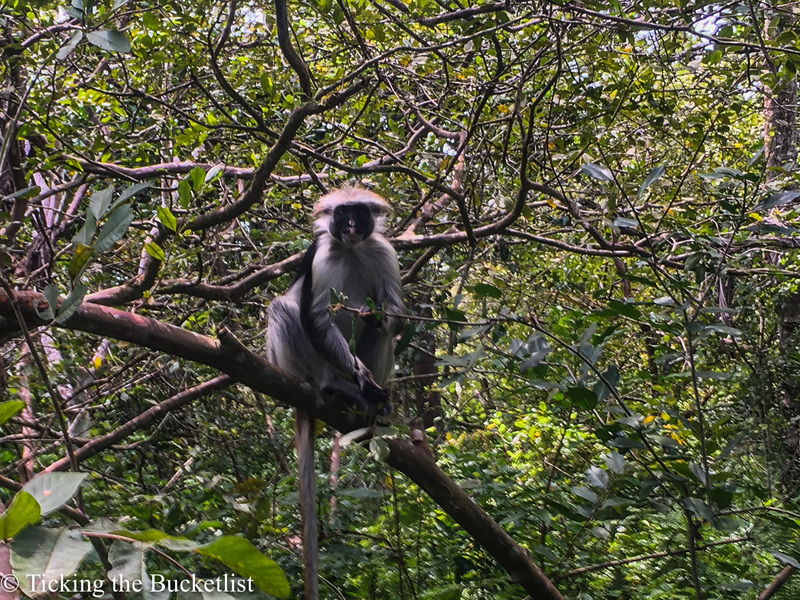 The forest is the only home of the colobus monkey. The monkeys are usually not bothered by human company. We saw many of them prancing around! None of them seemed to be camera shy. The forest compound also has a large mangrove forest. The Jozani Forest trail, along with a guide, takes a little over two hours. In you do have time at hand, spend minutes in a butterfly garden as well. What a joy it was to see these delicate creatures fly. End the day while watching the sun go down with a drink at the Michamvi beach and if the tide favours you, swim in the sea at sunset. Let those stressed out muscles unwind and help your mind get ready for a restful night. After two days at Michamvi, it is time to move your base to the little town of Nungwi. Nungwi is located at the Northern-most tip of the island and has plenty of upmarket resorts. Take your pick and check in. Walk on the beach at low tide and try to find the red Zanzibari starfish. We wallowed in luxury at the Essque Zalu. This super premium property has cute little African huts, infinity pool and a restaurant, which allows you to watch sunrise and sunset from the same spot! For those who want to explore the underwater world, Mnemba Island is like an aquarium and must be on your itinerary. If you are a certified SCUBA diver, sign up for at least a couple of dives in this wonderland. If you aren’t a diver, suggest that you hop on a snorkelling trip to see some healthy corals and lots of dolphins. The half day tour typically starts at 9 am and ends by 1 pm. Enjoy the rest of the day in your resort … getting the perfect tan. How can you visit the Spice Island and not visit the spice gardens? The spice gardens are easily doable from Stone Town. However, they are most convenient on your way from Nungwi to Stone Town. It takes about 2 hours to truly enjoy the gardens with a local guide. Most guides know English well and are very knowledgeable. They ask you to smell a spice and guess it…my Indian nose did a fairly good job at it! 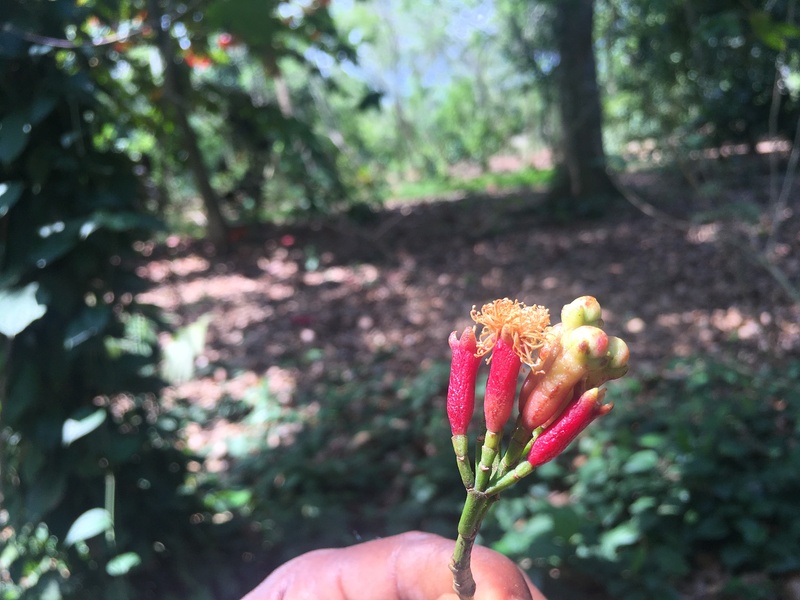 Cloves…Zanzibar is the Spice Island! In the second half of this day, potter around UNESCO world heritage site of Stone Town, admire the carved doors, some of which, are about a hundred years old and shop to your heart’s content. Pick up a painting or a miniature Zanzibari door…whatever catches your fancy. Or awaken the experimental soul in you and get a black henna tattoo done…or your hair braided. ‘Feel’ the real Zanzibar. Watch the sunset at the Forodhani Gardens in Stone Town, watching kids jumping in the water. It is usually a sunset with plenty of action. We stayed on to sample some food at the Forogdhani Night Market and would recommend the same. Enjoy some local food for dinner and end it with a spiced ice cream from Spice House. It might be very touristy, but Prison Island is must do day trip when you are in Stone Town. The island is home to a ‘prison’, which was never used as a prison, but was used as a quarantine area instead. It takes about 30 minutes to get to the island from Stone Town and you can easily spend a few hours on the island. 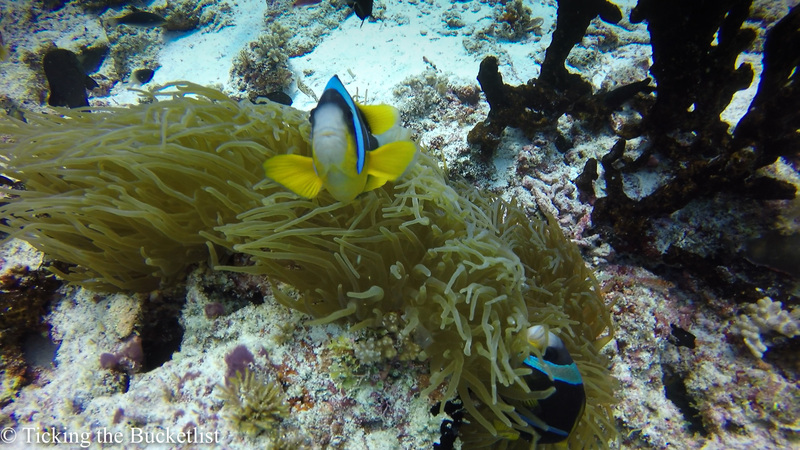 The snorkelling around island is stellar. Later in the evening, make way to one of the hotels in Stone Town to watch the sun go down. My favourite was Maru Maru, which offers stunning views of the buildings, with the setting sun in the backdrop. Enjoy some spiced coffee at one of the coffee houses and call it a night. Ready to head back home? I am sure you don’t want too! Are you, just like us, in love with Zanzibar? Many thanks to the Zanzibar Tourism Board in India for helping us put this trip together. Great post Sonia! Zanzibar is really a gem of a place. 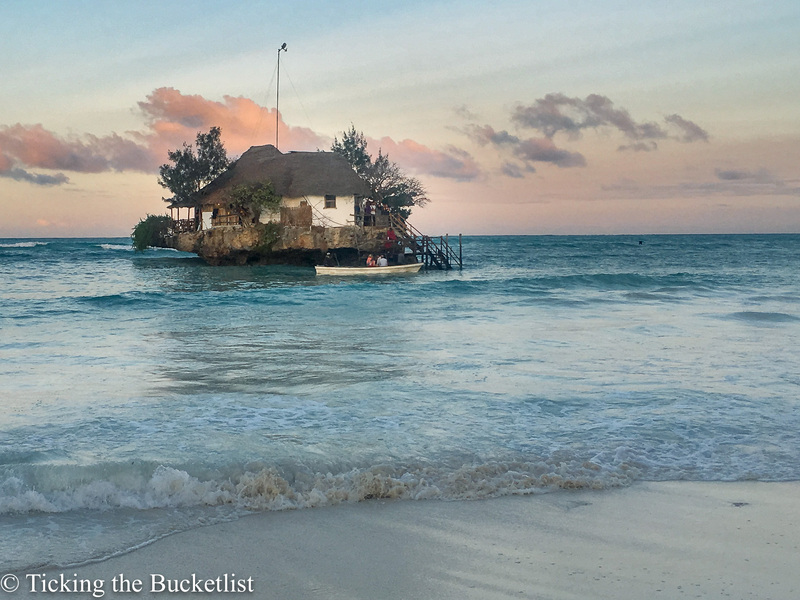 The page is bookmarked and Zanzibar goes straight into the bucket list! It is… amongst the best beaches that we have seen! 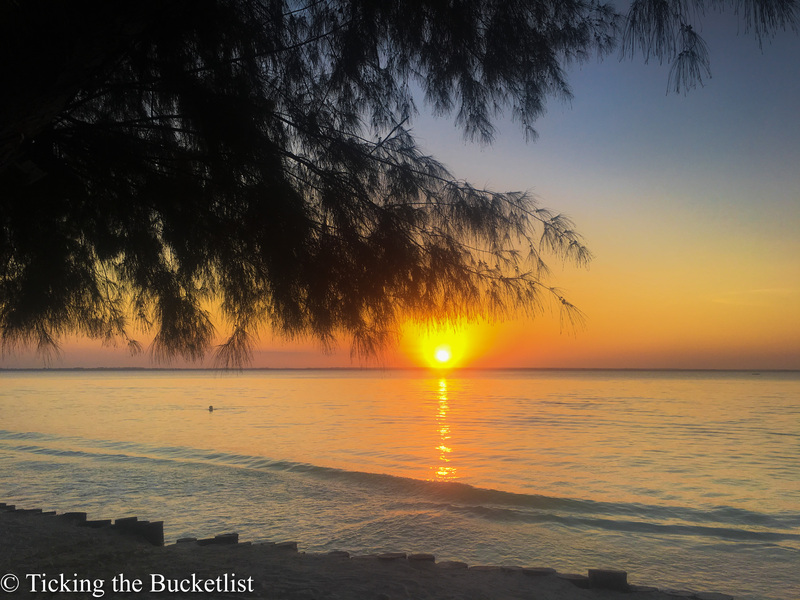 Zanzibar is on our family bucket list (we’ve spent a lot of years living in different countries in Africa). Your pictures are gorgeous! Makes me think we should prioritize it higher. You must…the beaches are great…the marine life is stellar and the people are oh….so wonderful! Okay this is the third piece on Zanzibar I have read in a week I think the universe is trying to tell me to get there soon. I am really interested in the whole notion of the Spice Island I am a confessed “foodie” who has a total obsession with spices and herbs and their origins. This alone would drag me to Zanzibar. This is totally one to add to my bucket list! Lovely vistas, adorable animals, historical education – it sounds like my jam. You’ve done a wonderful job of showing it all! I agree – Zanzibar is a must-visit destination. You did a great job exploring it. I was there a few years ago but just for 2 days so I need to go back again. I am desperate to visit Zanzibar and this post has made me even more so. It just looks gorgeous! How disappointing that The Rock wasn’t as expected, perhaps I will only visit for drinks. I had no idea you could swim with wild Dolphins either, that sounds incredible! I have always wanted to visit Zanzibar and this post just makes me want to even more. It looks like such a beautiful part of the world. How disappointing that The Rock wasn’t as you had expected. Perhaps I will just go for drinks. I also didn’t know you could swim with wild Dolphins there. How amazing! OK you have convinced me! Zanzibar is officially on my list. I will definitely be visiting the amazing beaches and dinner at the rock will be a close second! What a great list! I would love to go scuba diving there and swimming with the dolphins! It’s a shame about your dinner at the rock as it really seems like a romantic place to go! When I go to Africa, I’ll make sure to check back to this guide! Thanks! Beautiful photos and the itinerary! I’m trying to convince my hubby Zanzibar should be our next trip out of the Europe so I am definitely saving this post for future reference. Too bad food at the Rock was not good – hopefully they will improve it before we come. Pictures are really very nice. Specially the one with the sunset. Its beautifully captured. Will definitely add this place to my bucket list. Hi Sonia, I have followed your suggestions and itinerary to Seychelles to the T and had a wonderful vacation last year. 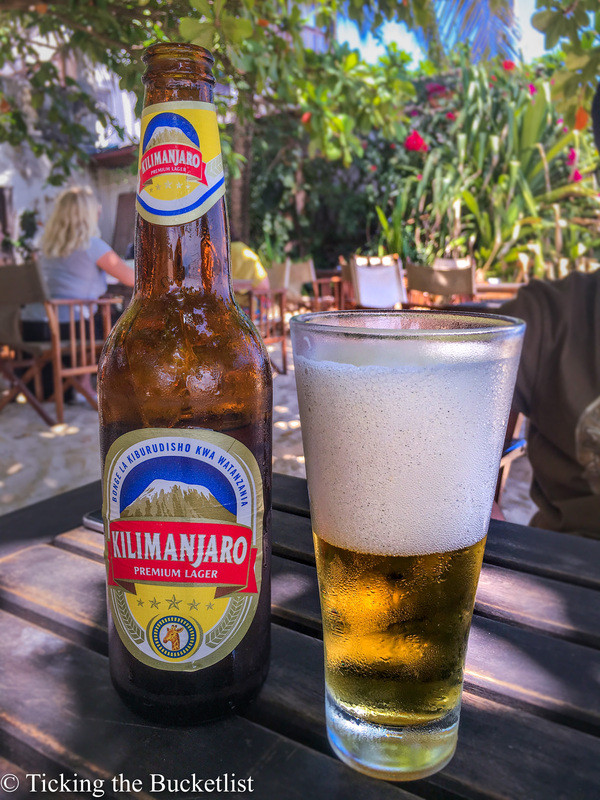 I am back again for your help, this time with Zanzibar and your website is the first one that I checked out when I finalized my destination and I am glad it has everything that I was looking for my planning. But some quick questions though..
a) Is Yellow fever vaccination mandatory? there is conflicting info for us Indians about this, while the Tanzanian embassy website says it is, travel forums say it doesn’t! b) Can we avail Visa on arrival or have you had your passports stamped before hand? 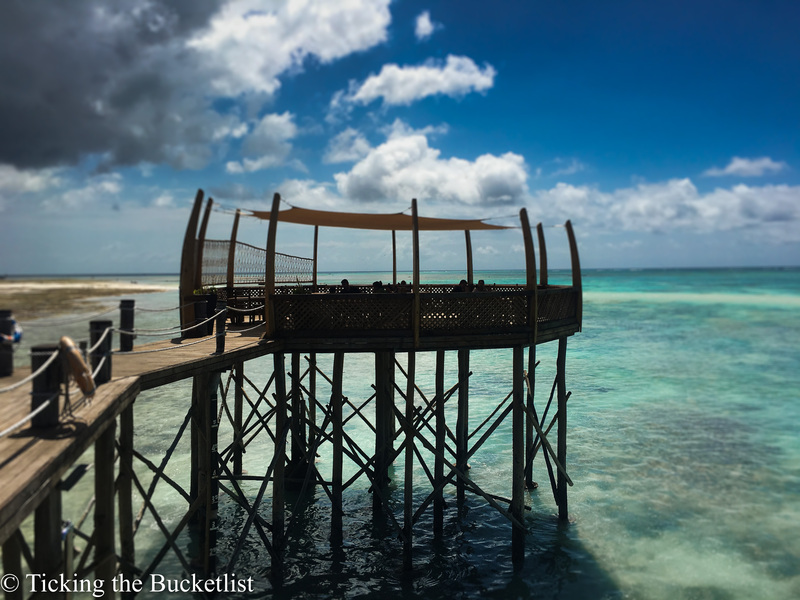 Zanzibar is a beautiful place…must go! You will love every minute on the island! I am planning a trip to Zanzibar at the moment, you packed so much into a week!! I really want to do the same and make the most of the trip. The spice tour sounds super interesting and those beaches are to die for!